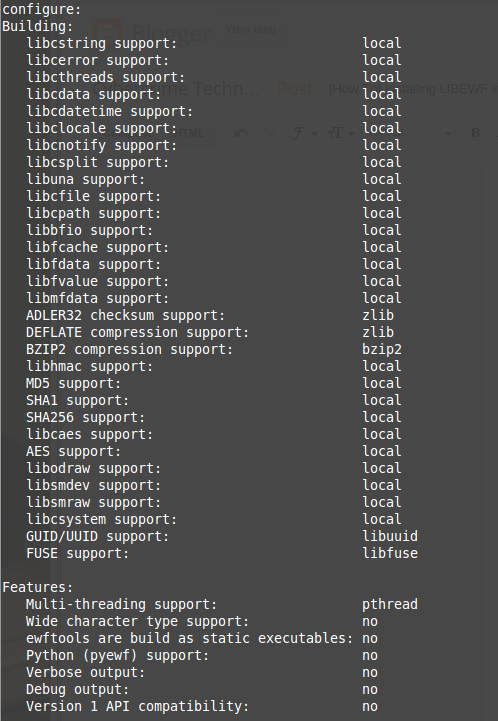 Installing LIBEWF is normally straightforward. Usually the most difficult part is remembering which packages are required for the dependencies. When running configure, I always like to have "support" dependencies filled out. While some of these are not necessary, you may find yourself needing them someday, and having to recompile.